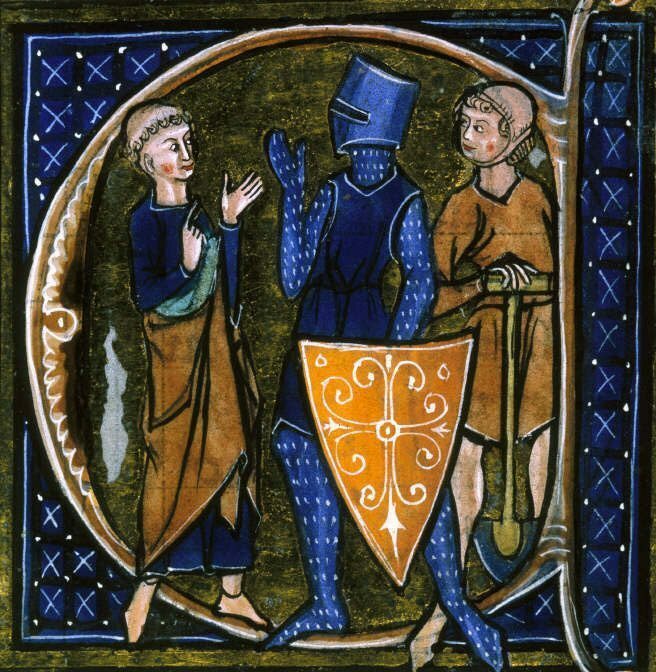 Social organization of Medieval Chivalry – the cleric, the knight, the worker. I. Thou shalt believe all that the Church teaches and shalt observe all its directions. II. Thou shalt defend the Church. III. Thou shalt respect all weaknesses, and shalt constitute thyself the defender of them. IV. Thou shalt love the country in which thou wast born. V. Thou shalt not recoil before thine enemy. 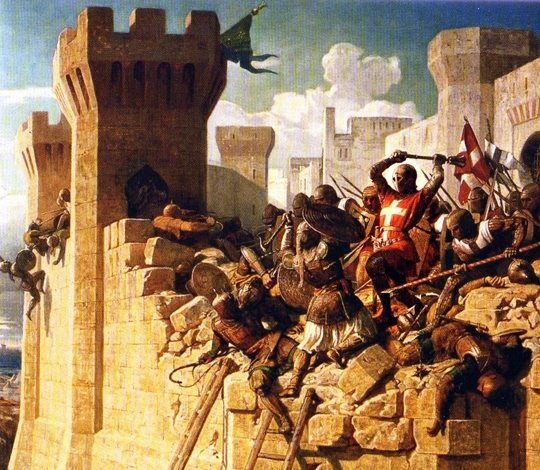 A Crusader does not recoil before the enemy, but steps into the breach in the wall during the siege of Acre. VI. Thou shalt make war against the infidel without cessation and without mercy. VII. Thou shalt perform scrupulously thy feudal duties, if they be not contrary to the laws of God. VIII. Thou shalt never lie, and shalt remain faithful to thy pledged word. IX. Thou shalt be generous, and give largesse to everyone. X. Thou shalt be everywhere and always the champion of the Right and the Good against Injustice and Evil. 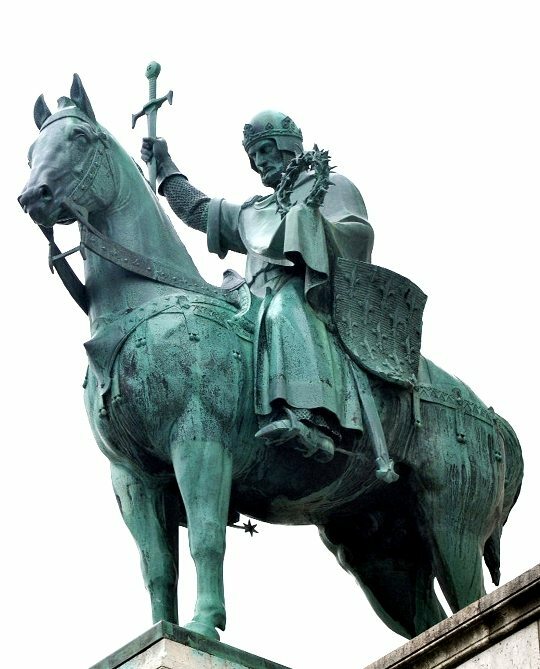 King Saint Louis IX, living always in the presence of God, the Supreme Judge, was ever the champion of the Right and the Good against Injustice and Evil. Exercising justice in the suits brought before him, he would even defend his people to the very court officer he himself had appointed. Statue of King Saint Louis IX of France holding the Crown of Thorns, Basilique du Sacré-Coeur, Paris, France. These Ten Commandments of Chivalry embody the core spirit of the American TFP’s Call to Chivalry Camps for young men, held every year in Pennsylvania, Louisiana, California, Arkansas, and Wisconsin. Léon Gautier, Chivalry, trans. Henry Frith (New York: Crescent Books, 1989), p. 26. 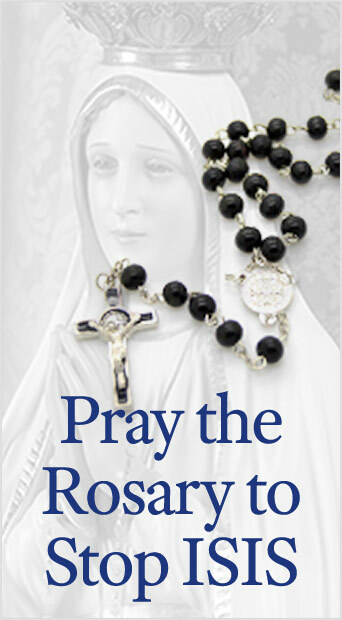 This entry was posted in Catholic Perspective and tagged believe, Call, Catholic, Champion, Chivalry, Church, Commandments, country, courage, defend, duty, faith, fortitude, generous, God, good, hero, justice, Knight, largesse, Law, love, man, men, mercy, respect, right, teach, Ten, War, weak, word by TFP.org. Bookmark the permalink.